Early this month, a 30-year-old flat in Bishan sold for $1.09 million. Last month, a 33-year-old flat in Potong Pasir went for $925,000. With some old Housing Board flats fetching such high prices, National Development Minister Lawrence Wong has issued a word of caution to home buyers: Do not assume your flat will be selected for the Selective En bloc Redevelopment Scheme (SERS) when the lease runs out. In fact, just 4 per cent of HDB flats have been identified to undergo SERS since it was launched in 1995, he said in a blog post yesterday. Under the scheme, the state buys back the flats at the market rate and offers residents discounted new units at another address. Mr Wong spelt out the conditions that have to be met for SERS to take place. It is granted only to HDB blocks on sites with the potential to be redeveloped. Typically, the land has not been well utilised. Suitable replacement sites for residents must be available. The Government's financial resources also have to be considered. Mr Wong said: "We will continue to maintain this strict selection criteria. So please do not assume that all old HDB flats will be automatically eligible for SERS." In fact, he added, for the vast majority of flats, the leases will expire and the flats will be returned to the HDB, which will in turn have to surrender the land to the state. OrangeTee head of research and consultancy Wong Xian Yang said: "When the lease goes to zero, the value of the home is also zero, so the owner gets nothing." The minister was responding to a recent report in Chinese newspaper Lianhe Zaobao highlighting the high prices of several short-lease HDB flats in the resale market. 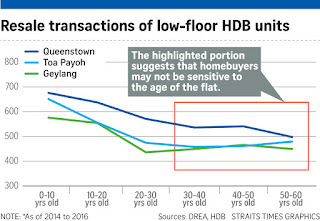 Checks by The Straits Times showed that old flats, generally in mature towns, are highly popular. According to data from property portal SRX, 46 per cent of all resale transactions made in 2015 involved flats older than 30 years, with an average resale price of nearly $400,000. 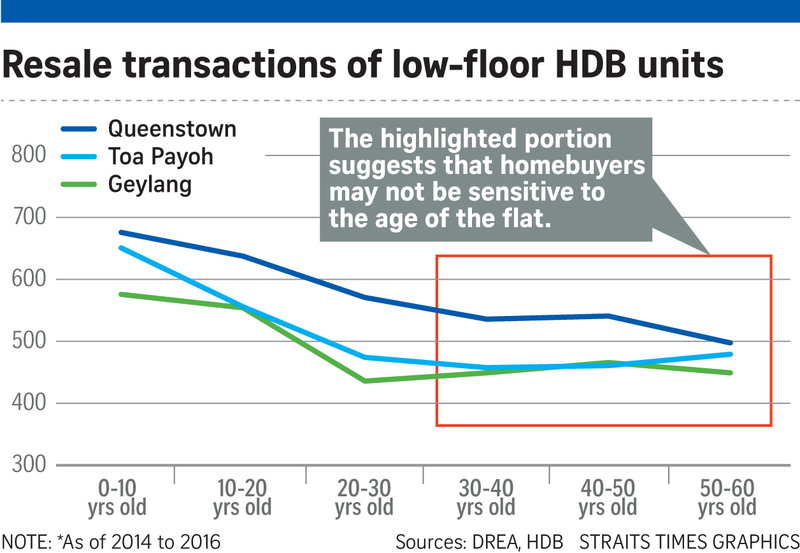 Mr Lawrence Wong wrote: "While resale flats are transacted on a willing buyer-willing seller basis, I was concerned by the suggestion that some buyers are forking out high prices for older flats, in anticipation of the benefits of SERS." But this will not pan out for most. "Buyers need to do their due diligence and be realistic when buying flats with short leases. This is especially important for young couples, who have to plan for a much longer future," he added. Property experts said few buyers pay heed to the lease period when purchasing a resale home. PropNex Realty chief executive Ismail Gafoor said: "Many buyers today prefer to upgrade and sell the property 10 to 15 years down the road. Hence, lease period is usually not a concern to many buyers." So far, no 99-year leasehold HDB flat has reached the end of its lease. But as some flats were selected for SERS while they had around 60 years left on the lease, it could lead buyers to buy an old flat and expect to get a more valuable replacement unit under the scheme, said the analysts. This is unwise, said R'ST research director Ong Kah Seng, adding: "SERS will remain a niche, exclusive windfall for those in strategic locations. Especially as there will be more flats with dwindling tenure appearing in the next decade or so, SERS cannot be a given for all flats." By writing the blog post, the minister was pre-emptively "nipping the problem in the bud before it becomes unstoppable", said Orange-Tee's Mr Wong. Resale price: $1,088,000. Size: 146 sq m.
Age of unit: 30 years. Years left on lease: 69. Resale price: $925,000. Size: 161 sq m.
Age of unit: 33 years. Years left on lease: 66. Resale price: $905,000. 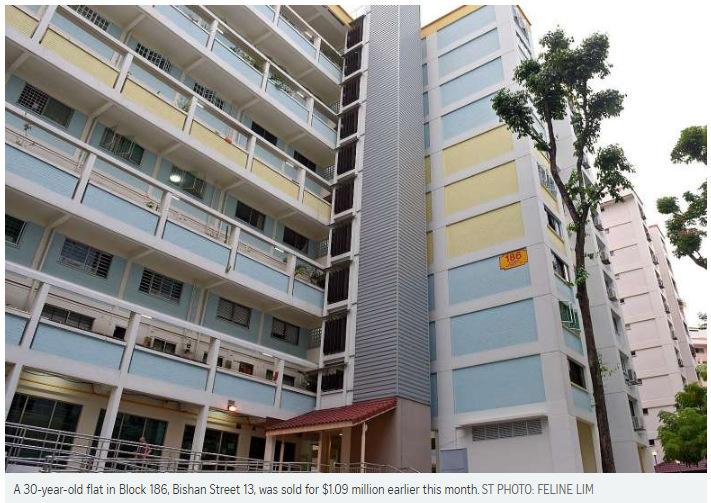 Size: 161 sq m.
Do we truly own our flats if they will be returned to HDB after 99 years? Wanted: Maid... or master of all trades?